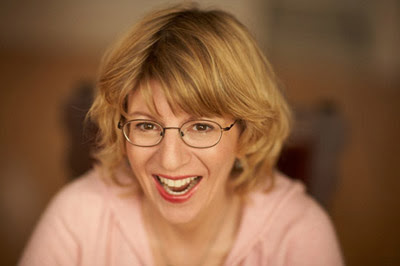 Louise Palanker is an accomplished writer/producer/performer in the arenas of radio, television, stage and stand-up comedy. As Senior VP of Creative and co-founder of Premiere Radio Networks, the nation's largest radio syndicator and a division of Clear Channel Communications, Louise wrote, produced, performed in and/or executive produced over 20 programs and services for Premiere Radio while overseeing a large staff of talented writers, producers, engineers and performers. The company was founded in 1986 by Louise and three partners with $30,000 seed money. Premiere went public in 1992, trading on the NASDAQ exchange. Early in 1997, Louise and her partners sold Premiere to Clear Channel for $185 million. Prior to forming Premiere, Louise was a writer and segment producer for PM Magazine and then spent three years as head writer for Rick Dees' syndicated radio show, "The Weekly Top 40." After leaving Premiere in 2000, Louise launched a charitable foundation dedicated to benefiting children's causes. She began a stand-up comedy program at Los Angeles Boys & Girls' Clubs and the Santa Barbara Jewish Federation where kids learn to write and perform comedy. The advanced class now performs every Saturday night at Hallenbeck's in North Hollywood, California and at special shows in Santa Barbara. Louise produces "Comedy Nights," stand-up comedy shows in and around Southern California, including a weekly Thursday night show in Santa Barbara , California at Bricks Café. She is currently directing and producing documentaries, one about the famed 60s family pop band, The Cowsills and another featuring the stories of Holocaust Survivors. Louise produced a Fritz Coleman hit one-man play, and she has been developing a television pilot with Henry Winkler. and on iTunes. Louise performs stand-up comedy at clubs in and around Southern California. And she has written and published a young adult novel called "Journals" which is available on on Amazon.com. Thank you for reading this far, especially if you are not Louise's Mom. For more information please visit Weezy's personal website: LouisePalanker.com.